When it comes to shopping for girls the sheer variety of options is mind boggling. What you need is a hand picked list of gifts specially curated for 20 year girls. What are the top gift ideas for girls and what are the best gifts for girls	who have just turned 20 years old? 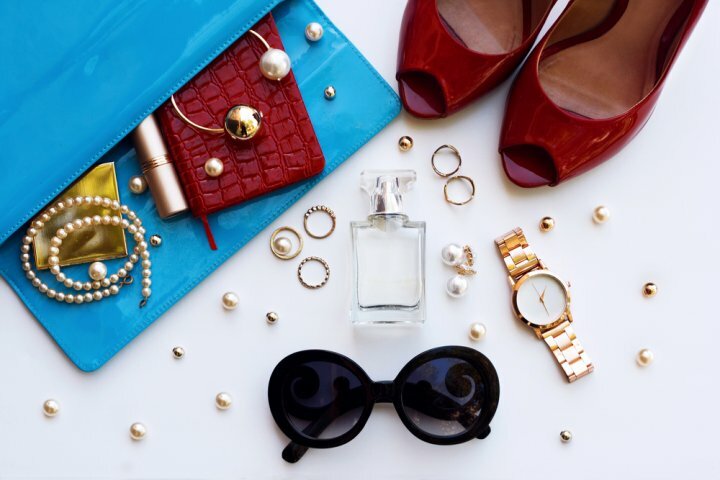 Find all the answers here and pick from trendy accessories, weekender totes, watches, beauty products, fashion and more. What is a 20 Year Old Girl Looking For? What are Some Good Additions to a Gift for a Girl Who's Just Turned 20? Oh! The sweet teen just ended, and your girl enters her twenties! A delicate, but bold, chirpy little girl who is about to begin her twenties is as precious as a diamond. And when we say a girl, could be anyone; your sister, a very close friend or your college sweetheart. i.e your girlfriend. She is heading towards her journey of becoming a woman, a lady with dreams in her heart and ideas in her mind. She looks for a perfect companion who can hold her hand, guide her at every step and flow with her in this journey where she is going to cherish each moment and wants you to be a part of it in your own way. If you are her dear friend, she will look for that trust in you, for that support that tells her come what may, I will always back you up! If she is your sister, she will look for those eyes that tell her that I am your family and I am beside you in every step that you take, ready to guide you, to tell you what is right and what is wrong. And if she is your girlfriend, your soul mate, she will look for that love, that strength that comes from within, the strength that originates from your bond and that lovely romantic feeling each time she thinks of you. 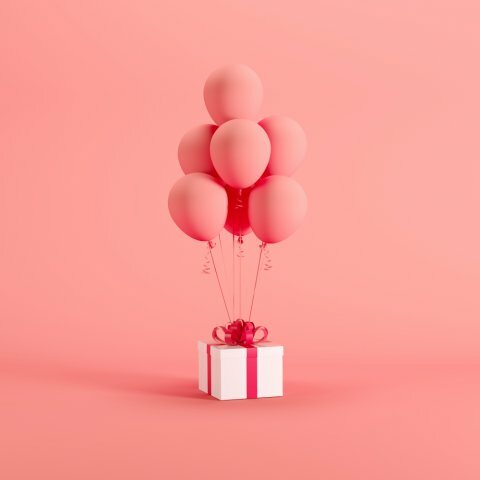 It might certainly need a lot of thinking for you to finally arrive at a gift that is perfect for her; she might have different ideas about things and what you might consider a good gift might not really rank high on her list. Also, this is a time when she is exploring herself and might be confused about things so you need to consider all of this while buying her a little something as a present. To make your job easier (and, to save your time), we have tried to find the top 3 things that a girl of her age would like in her gift. Stick to this and you will find a perfect gift for her in no time, literally! In this young age and at the turn of the decade, she is looking for things that are essentially ‘her’. She is forming an identity of her own and exploring herself. She would love something that ‘speaks’ to her which means get her something which is in-line with her own ideas, thoughts and beliefs. You could find several such things and it would be easier if you already know bits about her. This is also one of the best ways of showing that you care about what she thinks and believes in. Get her something that she will fall in love with instantly. It could be anything and everything; you might need to know a bit about her, like, what she likes and dislikes. However, once you do know something about her, it won’t be a difficult task to find the perfect gift for her while she would fall for. She is at an age where she will be needing things and resources. So go for stuff that is useful to her in some way or the other. Don’t buy her showpiece or something she cannot even utilise properly. Think of type of activities she will be involved in and get her a gift accordingly. For example, if she is joining a college soon then find something that will be helpful in her college life. Or if she is starting an internship (or a job) at some place then buy her something accordingly. This will also make sure that whenever she uses the gift, she will be reminded of you! 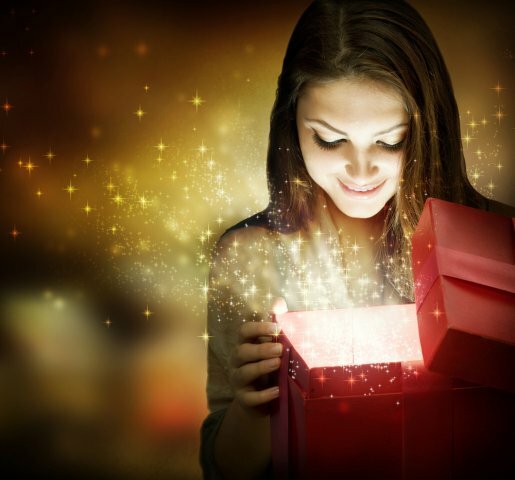 So, now that you know what kind of a gift to look for it would probably be a lot easier for you to find the perfect gift for her. However, just in case, you need any inspiration then you can check out the below list of the top 10 gifts for the 20-something girl. 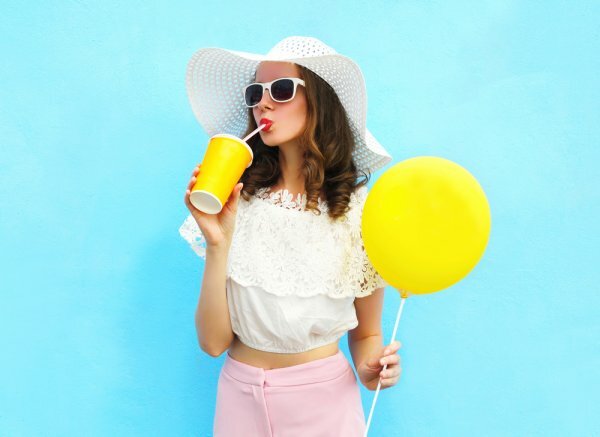 These are some of the trendy, useful and budget-friendly gifts which are suited to the tastes and needs of a girl who is turning twenty. Ajio says it all. With its range of amazing shoes and ballerinas, your girl is sure to get all heels over you. 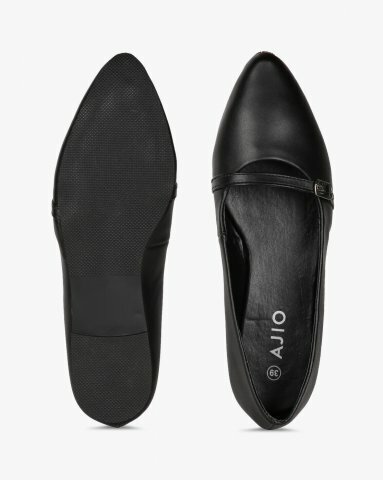 Gift a pair of Ajio’s Ballerinas with Mock Buckle strap from their magical collection of footwear that has something for everybody! This particular piece is in a bold, black colour and is available for Rs.350 and is sure to make any girl happy. Happy feet, happy girl, happy you! Discover contemporary designs that are fresh-from-the-oven in Ajio’s range of stylish footwear and be a pro in gifting these. Buy them here. Girls love make up. 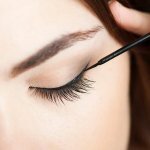 Girls have an eye towards good make up products and towards looking good in all aspects, at any time for the day. Nykaa presents the major two cosmetics in a bag for Rs.1,145. A liquid eyeliner and a lip gloss to give that subtle yet trendy look which is most preferred. Also, you get free nail enamel with this purchase that makes your girl even happier. Show her some love by gifting the Nykaa understated look in a bag and make her feel like a princess! Buy it here. For the girls who are working or the ones that are travelling around, this tote bag is the trendiest and yet quite useful thing to get her. 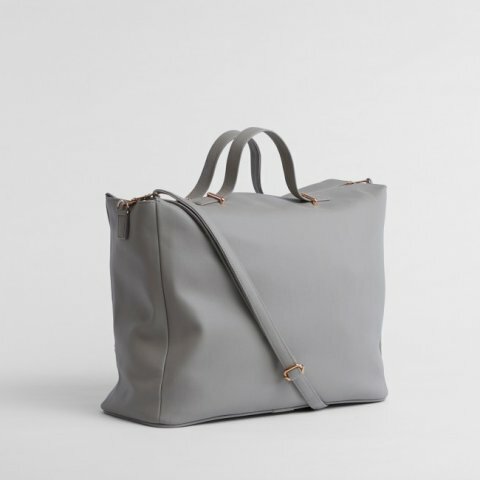 Thelabellife.com presents a grey tote bag at Rs.3,490 that makes for the perfect gift for your girlfriend or sister. This is the perfect package, a luggage piece that fulfils your travel needs for weekends or a two day trip. It is smart stylish and your definite carry along for small trips. It packs luggage comfortably and makes the travel easy. Make her feel classy and comfortable with this Weekender Tote! Buy it here. It sounds perfect when your girl is beautiful from inside and you make her feel beautiful from the outside. Let her maintain a beautiful outside with these Ayurvedic Facial Essentials from Forrest essentials. Available at Rs.1,425 at forrestessentials.com, this is a perfect gift for the beautiful girl that you have in your life. It has wild honey, steamed distilled rose water and fresh lemon cleanser that gently cleanses face to remove toxins and exfoliates dead skin cells making it clean and fresh. Together all these elements make for a toxic-free, chemical-free cleansing routine for the skin. Ajio has a range of magical designs of products designed for all body types. 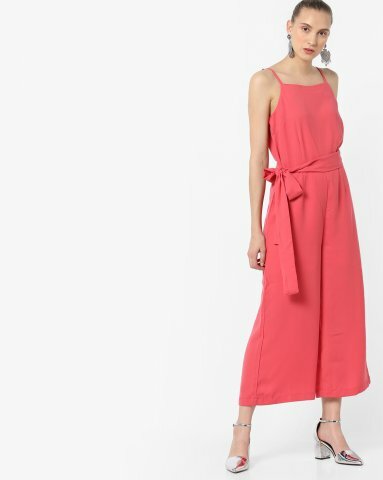 Designed with adjustable shoulder straps and featuring a waist tie-up, this jumpsuit is the perfect choice to sashay in style. Available at Rs. 630 at ajio.com, this jumpsuit is the perfect gift for the trendy girl who is not afraid of trying out new looks and things every now and then. Your girlfriend, your sister or your best friend is sure to get wooed with this gift! This all natural and luxuriant collection of handmade soaps with the signature smell of Khus, Tulsi and Rose can be the perfect gift to make your loved one feel re-energised and lift her soul with this amazing aroma. 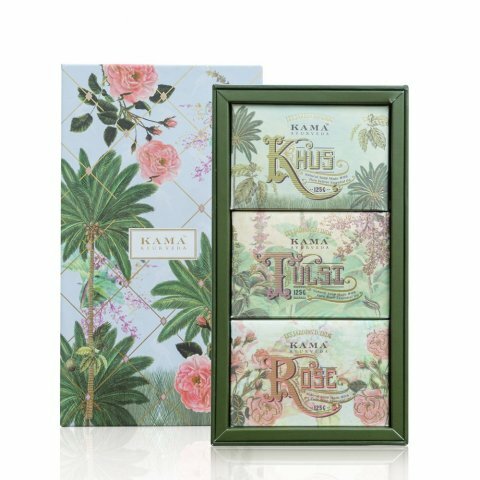 Kama Ayurveda presents Gardens of India Gift Box at Rs.1,650 which will fill fragrance all around her, leaving her feel highly spirited and in glee! Gift this to the girl in your life and make her fall in love with your unique idea. Oye Happy has always surprised gift givers in one way or the other. Now for your girl, who is experiencing a lot of new things in life, they present a magical art in a bottle. 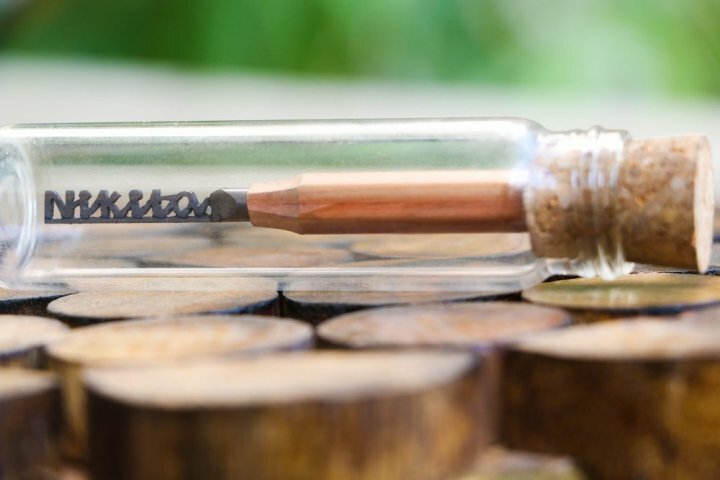 It is an intricately carved work of art where the artists minutely carves the name of your friend, sister of sweetheart on a pencil and carefully seals it in a glass bottle and place it on a wooden stand. This will completely take her off her feet and she is sure to run to you with a huge hug! 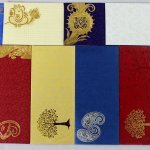 Available at Rs.2,950 at oyehappy.com. A gift of beautiful memories is the best gift and a holiday promises all that and more. 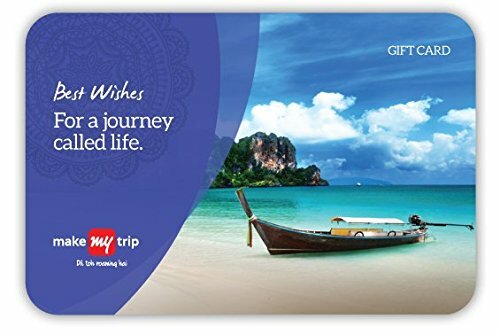 That is what is packed in this gift card by Amazon in collaboration with MakeMyTrip. Available at Rs.1,000 at Amazon, this gift is suited for the travel freaks. This will be a small contribution to the big travel plans that she might be planning for long. 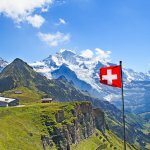 It is valid for a year from purchase and can be used for various travel packages and across their outlets in the country (or on their website and app). She will surely fall for you again with this mesmerizing gift. Watch that watch! 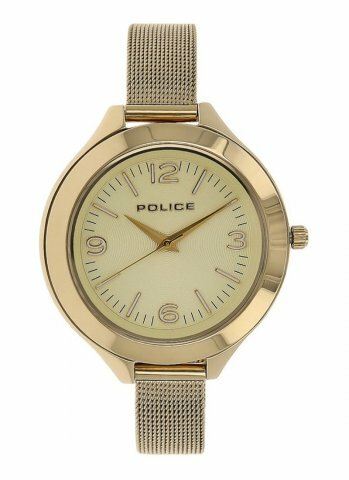 Oh yea, that beautiful Police Grace Round Analog Gold Dial Ladies watch is the one that you have to grab for your favourite girl! Girls fancy watches. And this one available at helioswatchtore.com at Rs.3,315 is surely going to be the precious one in her collection. It is the ultimate fashion accessory underlining statement to her outfit of the day. This watch is encased in a round stainless steel and quartz movement. If nature and home decor are her kind of a thing, gift this beautiful hanging wooden planter stand to your dear girl. When she is learning to grow herself, watching a little plant grow with her can be fantasizing. Hang this home decor from your balcony, terrace and see how irresistible it looks. 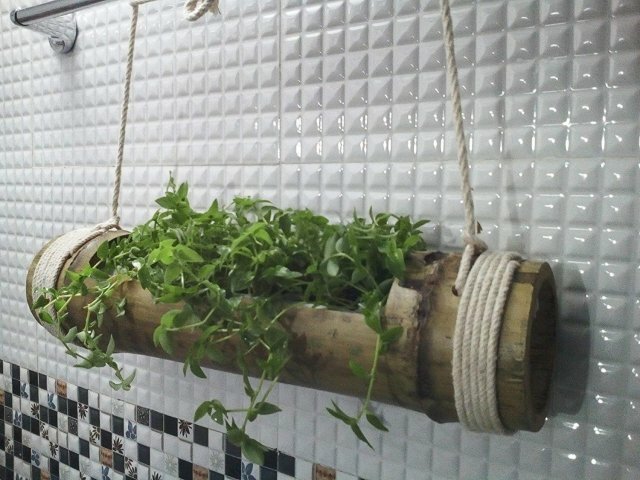 This hanging planter is made of authentic bamboo. It can be an exclusive personalized gift. She can decorate her house with this home décor. Available at Rs.439 on Amazon, this is a thoughtful gift for the girl you love. 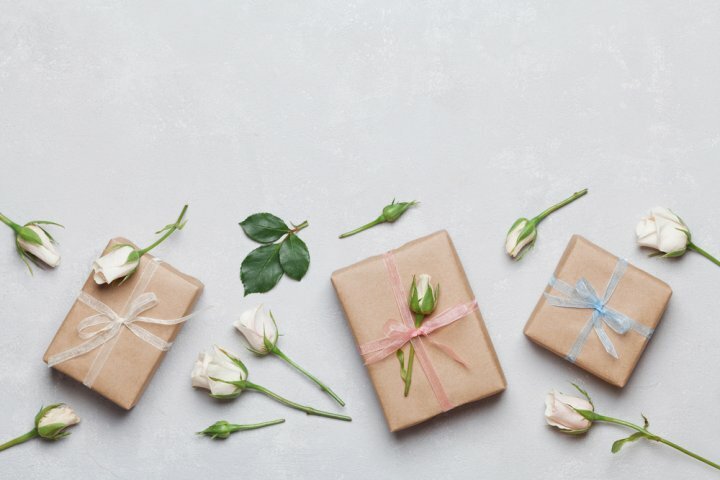 Adding on to the precious gifts that you have bought for can just make her feel more crazy, more happy and make the gift a more memorable one. A personalized mug, with a picture of you two printed on it, or your favourite quote or a love note written on it can make the gift more beautiful. Flowers, soft toys, chocolates and food are always the best add-ons. You can also read further to see the top 3 add-on ideas that would surely work. Chocolates! Who doesn’t like chocolates? Oh yes this newly turned 20 girl also loves chocolates. Be it many chocolates of many kinds, or a big bunch of same chocolates or some homemade chocolates or a pack of her all-time favourite Choco-bars. Any of these will just work wonders to the gift that you have already bought for her. 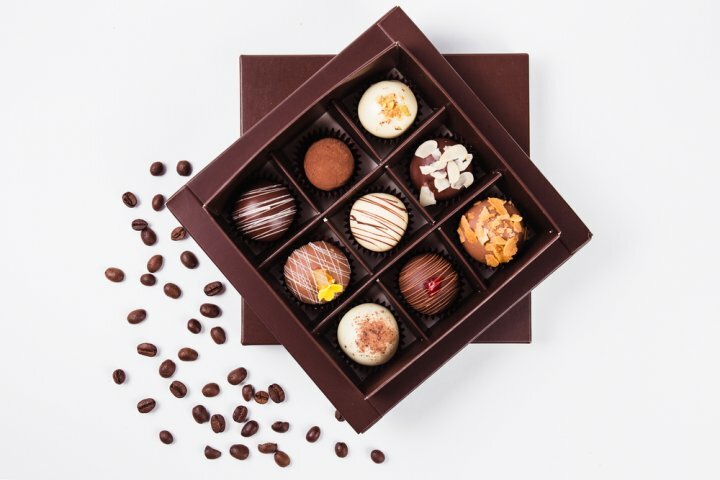 Nowadays you also get hampers of assorted chocolates with flavours ranging from milk to dark to even white chocolate; you can find some of these hampers online as well. Grab some chocolates with the gift and add some more love to it. Those fresh, fully blossomed flowers can make your day! 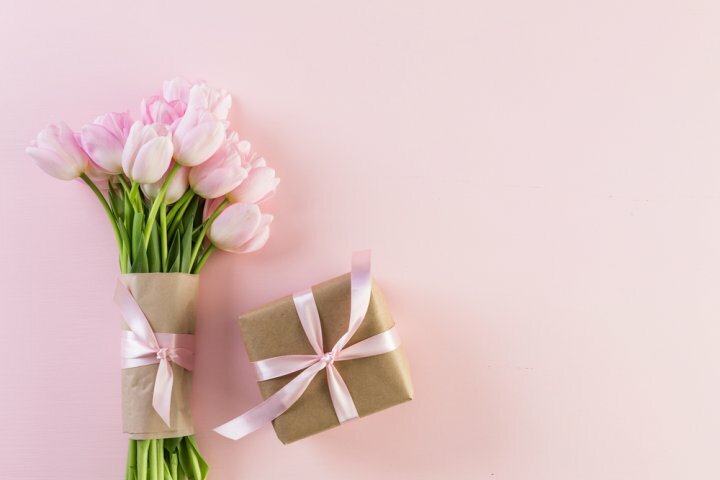 Add a bunch of her favourite flowers to the gift that you have purchased for her and fill her day with more joy and fragrance. Flowers have their own language. They speak the language of love. Roses, carnations, lilies, orchids; each one instils a different feeling in the heart of the receiver. Make a perfect bouquet and express all your love and care through these fresh flowers. And the best part is that flowers will never go out of fashion; you could gift her a bouquet or stick to a single flower (with a long stem) packed beautifully and it would still make her day! And last but not the least, your time and attention is the best gift that she, or anybody, for that matter is looking for. Spending time with the girl whom you admire is more precious (for both of you) than any pricey gift. She has just entered her twenties and must be brimming with emotions, thoughts and feelings for the world, for you or for so many new things that are going to happen with her in this new phase of life. 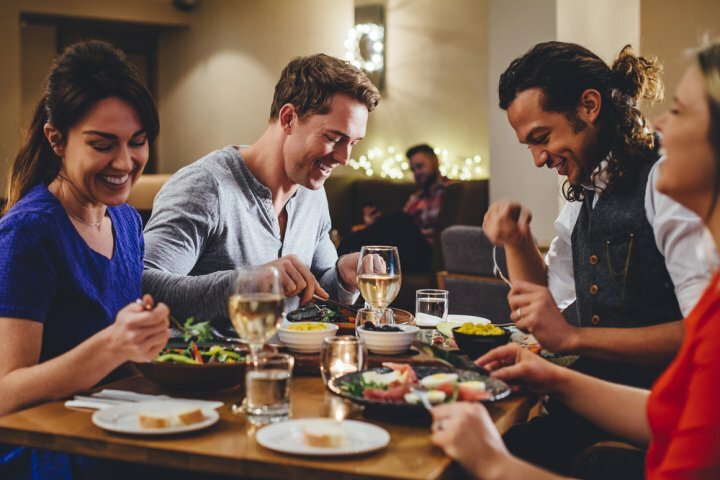 Take her out for a dinner at a cool, calm place where she feels comfortable and speaks her heart out. This is the most precious gift that you can ever give to her. At 20 years a girl is most likely in college and on a fixed monthly allowance. She may have a job and small income on the side but there are only so many things she can afford. Give her gifts that pamper her in small ways on a daily basis or help her lead a more comfortable life. Remember she is juggling studies, hobbies, perhaps a job and an active social life - she is a busy girl with a lot on her plate; things that help her manage her time and her day, or just give her something to look forward to will be much appreciated.